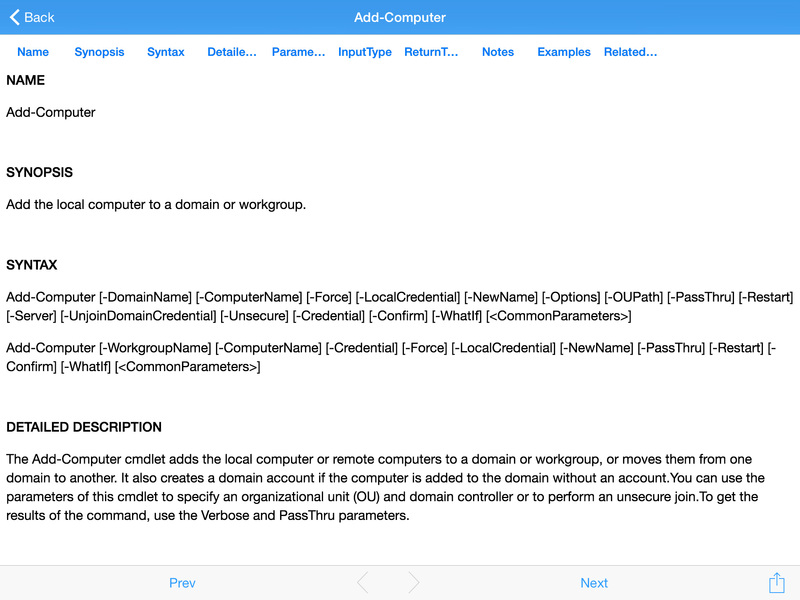 An easy to use remote connectivity, script editor and reference for Microsoft's PowerShell scripting language. 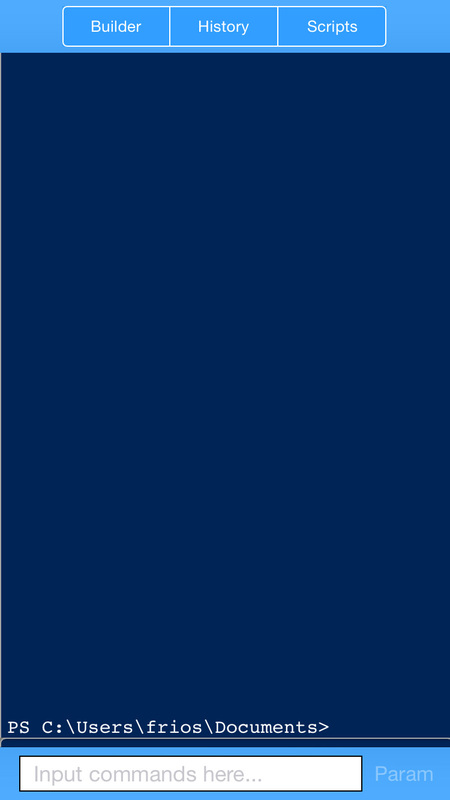 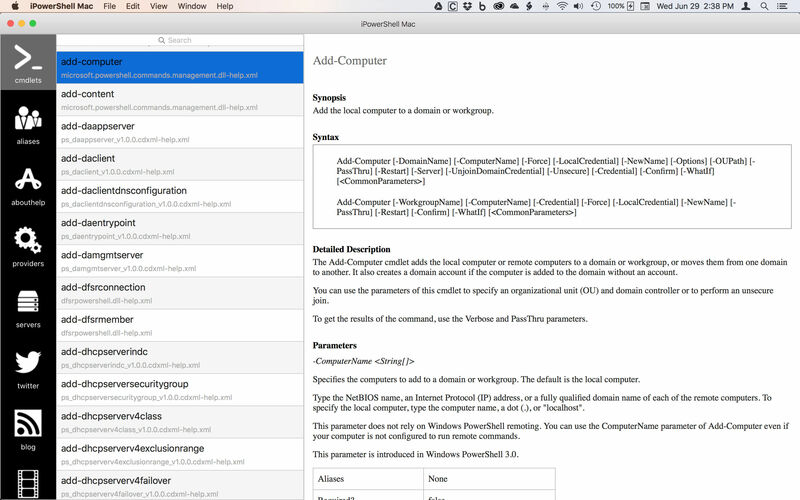 iPowerShell is an easy to use remote connectivity, script editor and reference tool for users of Microsoft’s PowerShell scripting language. 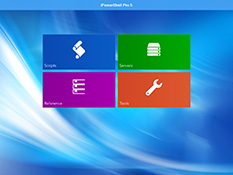 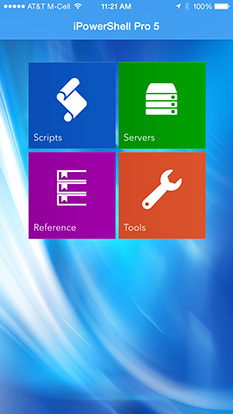 It can connect to Windows Servers running PowerShell Web Access (PSWA) or OpenSSH and allows for quick cmdlet and parameter selection, script sharing and execution, and maintains individual history lists for all connected servers. 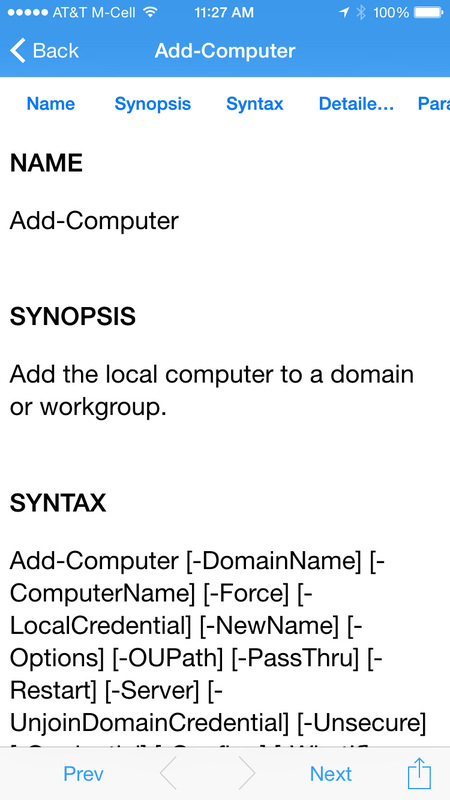 All platforms contain full descriptions of each core PowerShell cmdlet, their syntax, parameters and examples of proper usage as well as the complete set of “about item” help topics, provider and alias help. 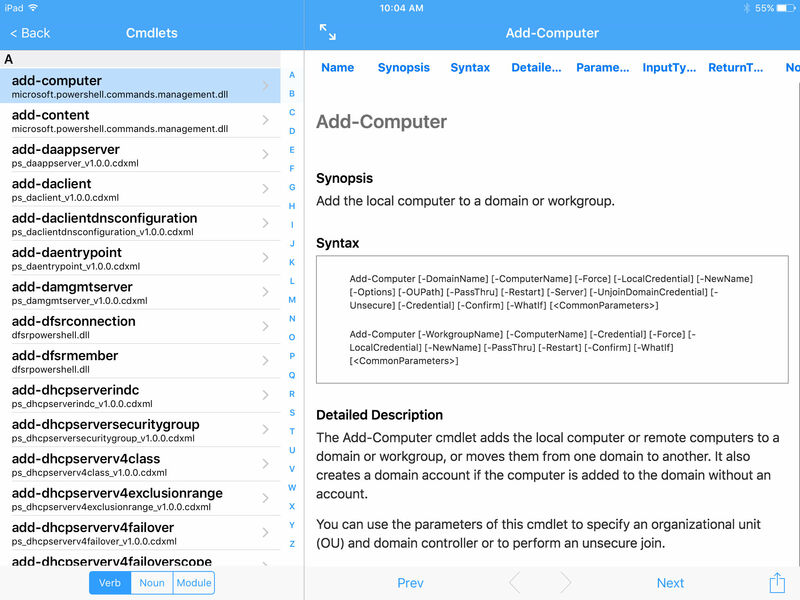 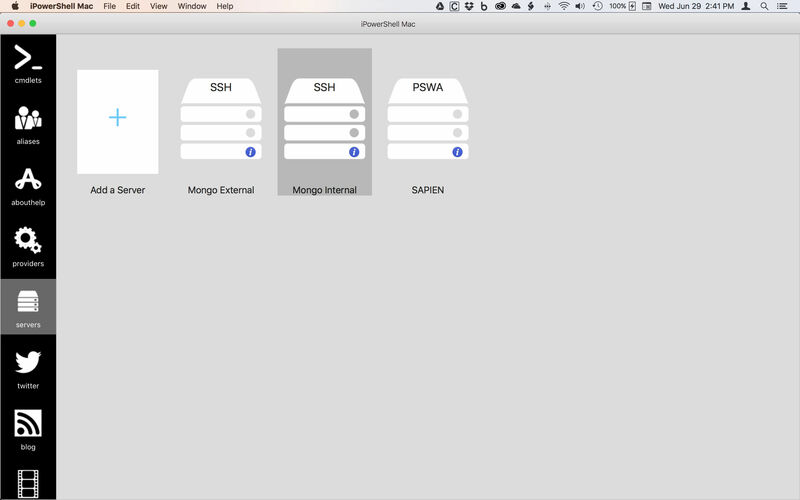 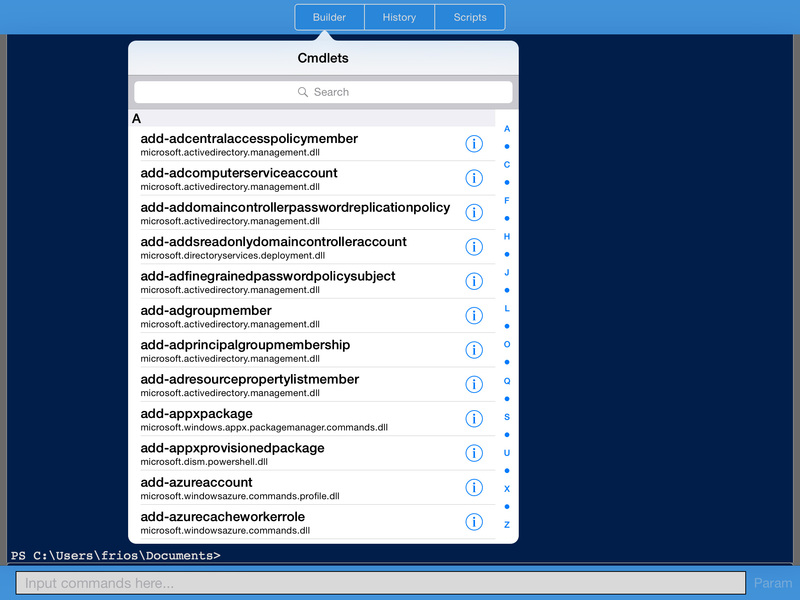 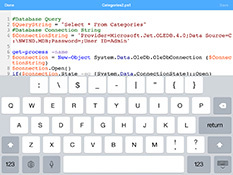 iPowerShell for iOS and macOS will let you connect to and manage your scripts on various cloud services and share those scripts with your server. 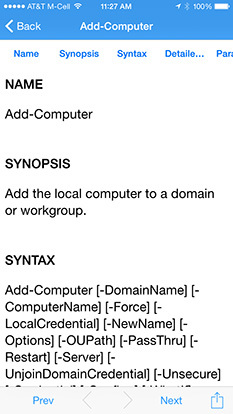 iPowerShell also makes it easy for you to add your own properly formatted PowerShell help, alias and About Help files. 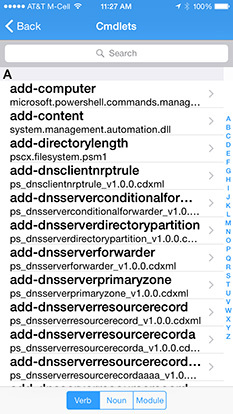 Just add them to iTunes (iOS) or the appropriate folder (macOS), then rebuild the cache in the app. 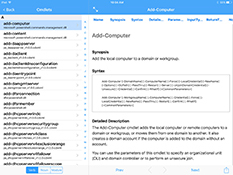 For Android, click and browse to your help files and they're added in the background. 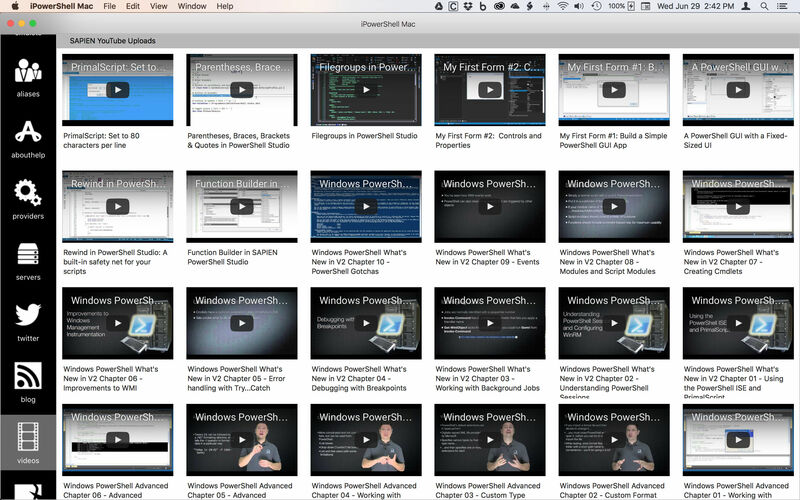 It's just that easy to display your help files along with the standard Microsoft PowerShell help. 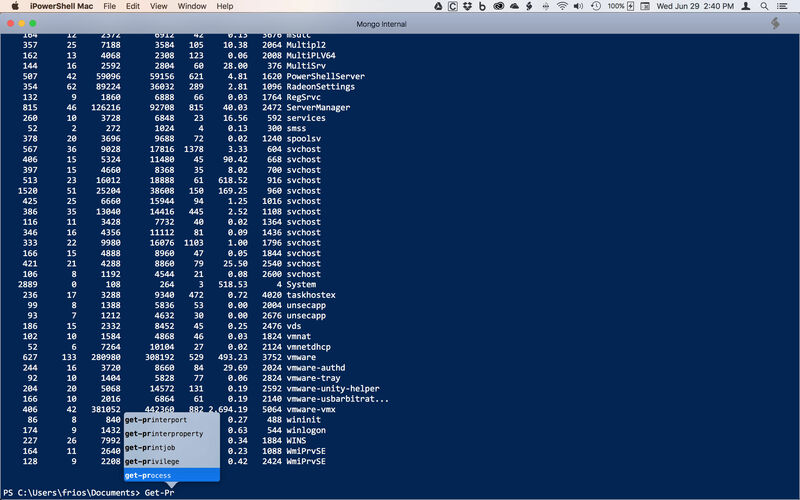 iPowerShell includes a quick search function that allows the user to type in partial search terms which results in a pared-down list of PowerShell cmdlets that include the term in their name. 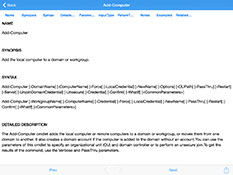 For instance, typing in “item” returns “Clear-Item”, “Clear-ItemPropery”, “Copy-Item”, etc. 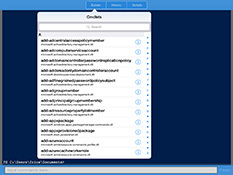 A Cancel button resets the search list to the full list. 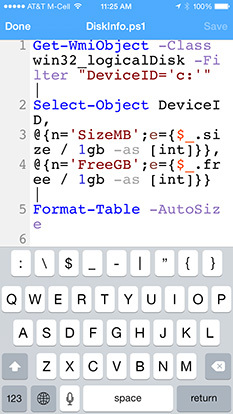 iPowerShell for iOS and macOS also includes an alphabetical index bar which takes the user to a touch to the cmdlets that start with any specific letter. 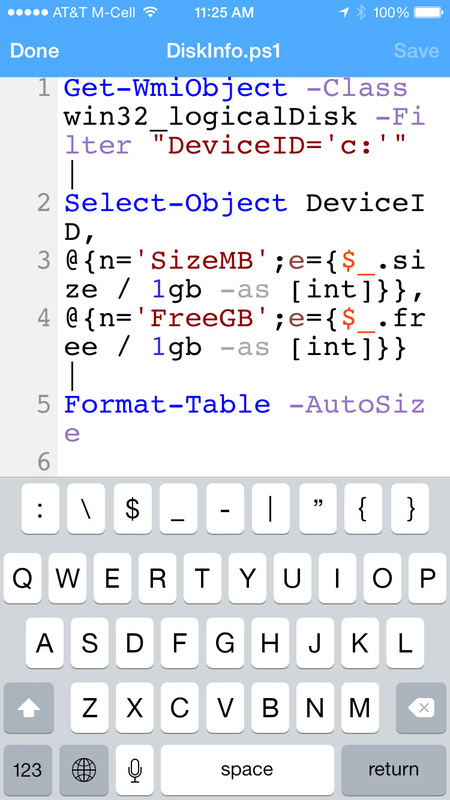 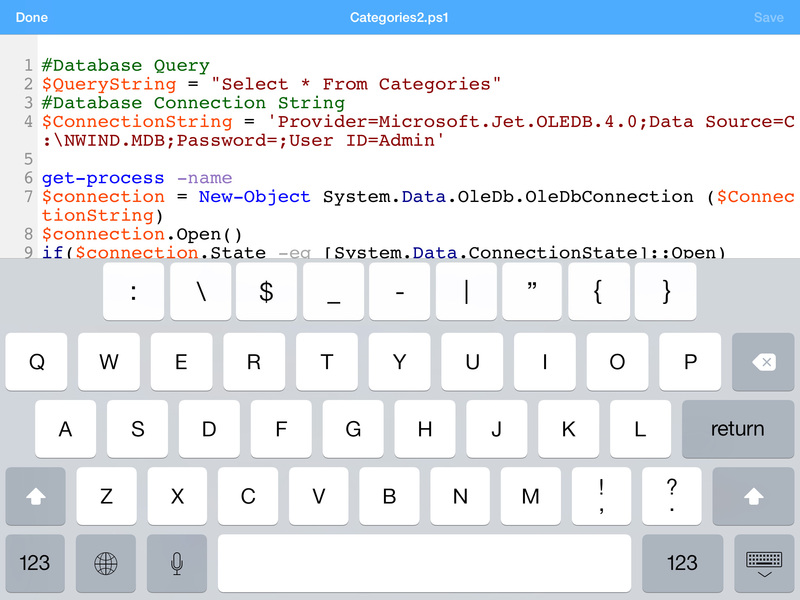 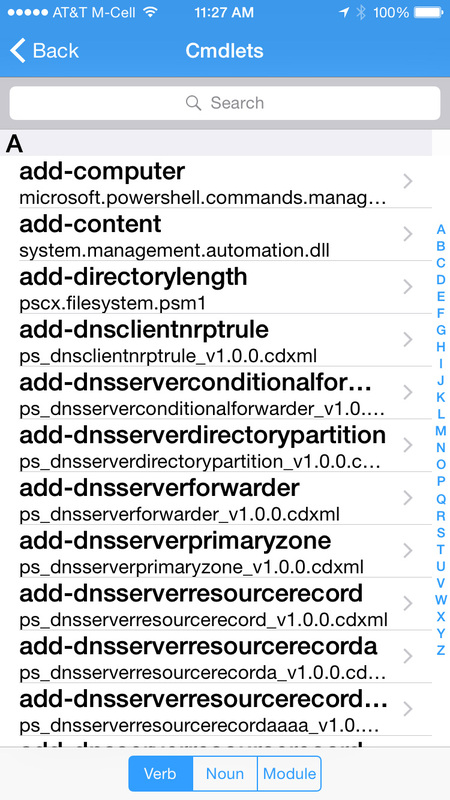 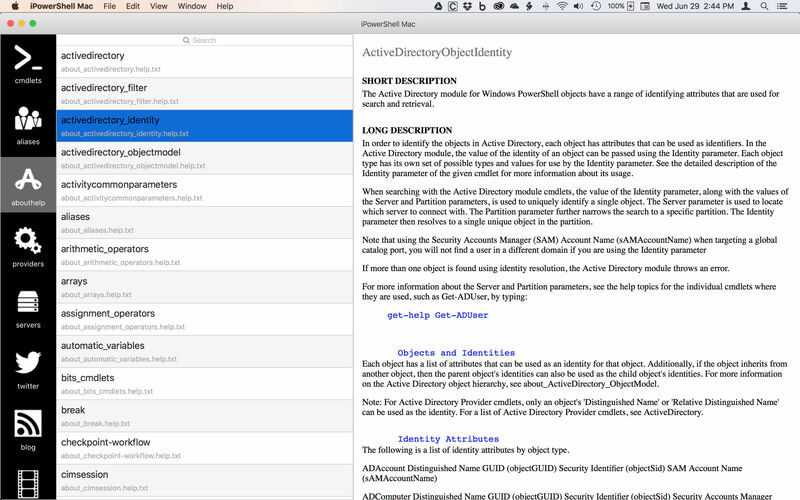 iPowerShell for iOS features a powerful syntax colored editor to make it easy to write and edit scripts. It has definitely paid for itself in the short time that I have had it.